The NFL playoff picture is set and the big quarterback stories of the year have added to the drama. The Washington Redskins QB , rookie phenom, Robert Griffin III (RGIII), amazed us all year with his big performances and has now led his team to the top of the NFC East by beating the archival Dallas Cowboys on Sunday. The Redskins will host the Seattle Seahawks next Sunday in the first round of the playoffs. The winner plays the Atlanta Falcons on the 13th. The Minnesota Vikings (with a tremendous rushing season from Adrian Peterson, although he fell a bit short of breaking Eric Dickerson’s single season rushing record established in 1984) grabbed the NFC Wild Card spot. They will take on the Green Bay Packers next Saturday. The winner will play the San Francisco 49ers on Saturday the 12th. 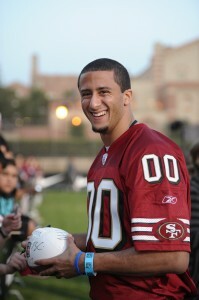 The 49ers are looking solid with their new QB, Colin Kaepernick. 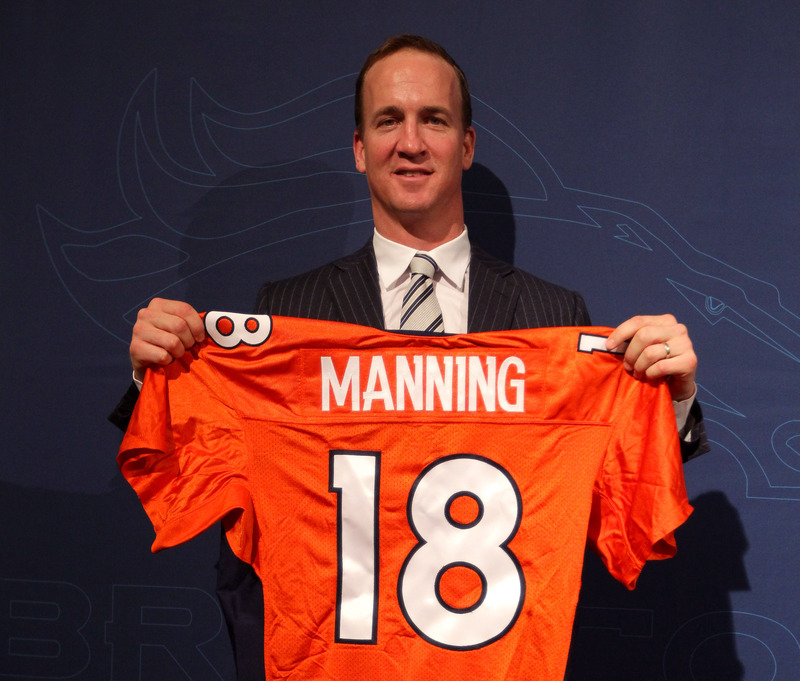 Peyton Manning fans (including myself) were rooting for him to lead his new team, the Denver Broncos, to a big year. All indications are that he didn’t lose a beat after his neck injury and helped his team secure a bye in the first round of the AFC playoffs. 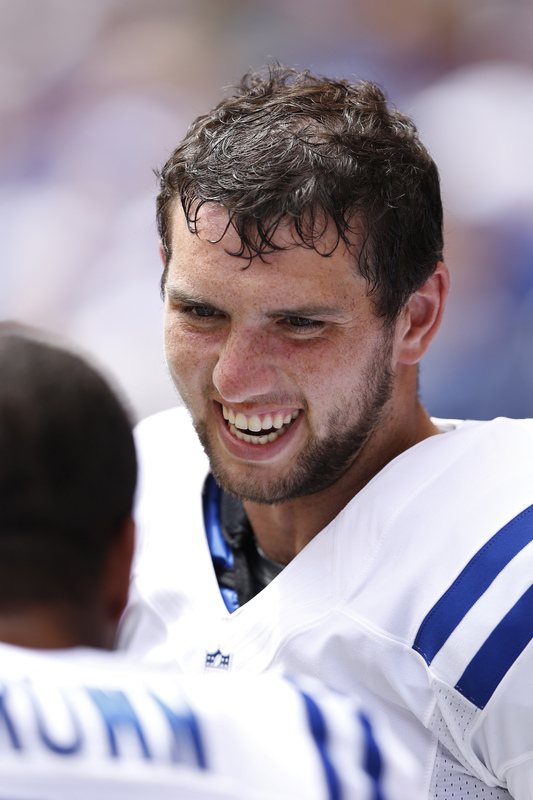 Andrew Luck, the Stanford phenom who took Peyton Manning’s place at the helm in Indianapolis, secured a wild card spot against the Baltimore Ravens on Sunday. The winner plays the Denver Broncos on the 12th. Rounding out the rest of the AFC. The Cincinnati Bengals take on the Houston Texans in the Wild Card Spot with the winner playing the New England Patriots on Sunday the 13th. In college football, bowl games are in full swing. Baylor University stomped all over No. 17 UCLA. The 49 -26 rout in the Bridgeport Education Holiday bowl began with 21 straight points from the Baylor Bears. UCLA freshman quarterback Brett Hundley threw the ball 50 times for more than 300 yards and three touchdowns and the defense forced three turnovers. However, UCLA was only 1-17 on third down and was outrushed 206 – 33. The highlight of the night was Baylor quarterback Nick Florence was 10 – 13 for 188 yards to overtake Robert Griffin III as the single season passing leader at Baylor. It is not even the New Year and two coaches have been fired in the NBA. The Los Angeles Lakers axed their coach earlier this season and now Brooklyn Nets coach Avery Johnson was given his pink slip. Johnson was named Eastern Conference coach of the month just last month, but the league is very much, ‘What have you done for me lately.’ P.J. 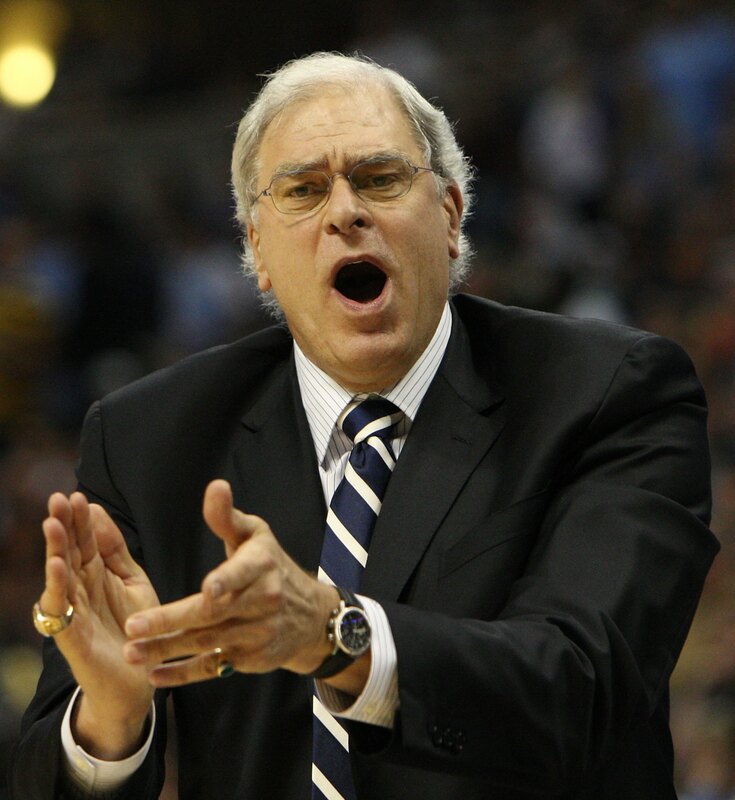 Carlisemo was named the interim head coach, but it is assumed that ‘the basketball guru’ Phil Jackson will be the top target for the job. In the NFL, the Pro Bowl teams have been named. San Francisco led the way with nine Pro Bowl selections, followed by Houston and New England, who had eight and seven respectively. 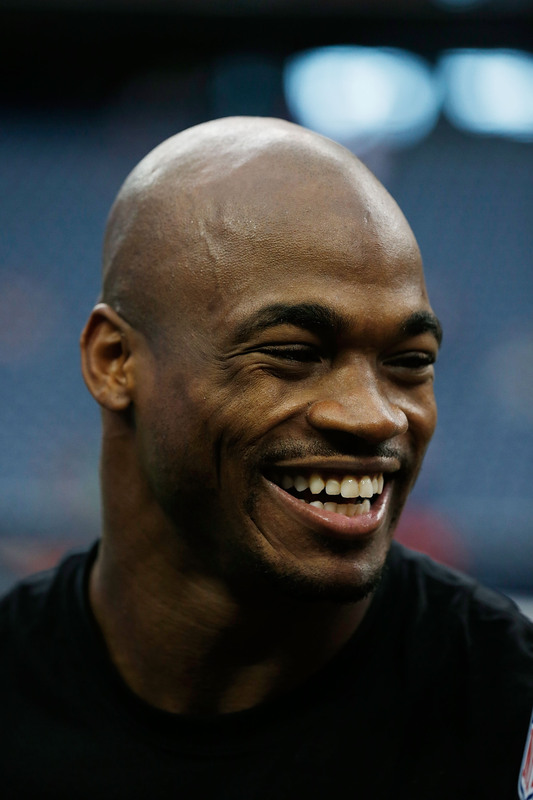 Notable players who were selected were Denver Broncos quarterback Peyton Manning, who was selected for a record 12th time and Minnesota Vikings running back Adrian Peterson, coming just one year off major knee surgery. 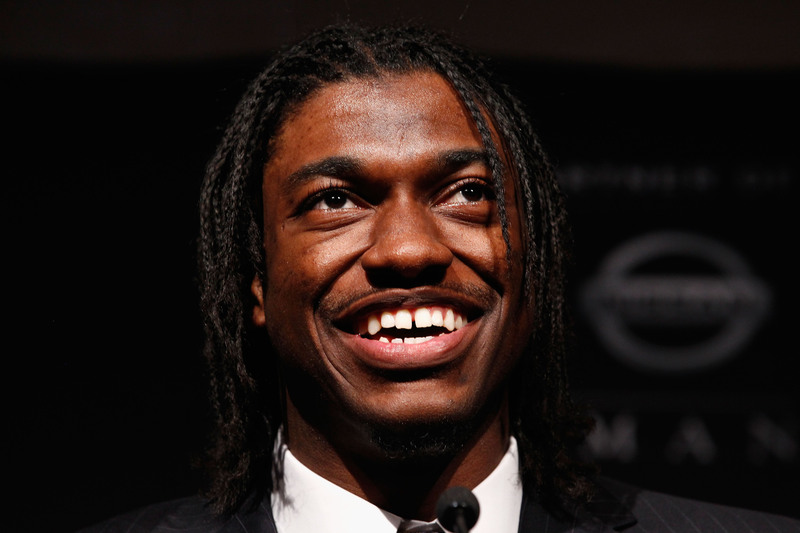 Washington Redskins rookie quarterback Robert Griffin III was the only one of the big three rookie quarterbacks to be selected to the game. In the NBA, the New York Knicks traveled to Phoenix to play the Suns without Carmelo Anthony and Raymond Felton. But even so, J.R. Smith was able to hit two late shots to beat the Suns. Coming off the bench, he had 27 points, six rebounds and five assists. Jason Kidd added 23 points six rebounds and eight assists to the cause. For Phoenix, the star on a heartbreaking night was Jared Dudley. He scored 36 points on the night. The 99-97 win gives the Knicks their 21st win on the season. 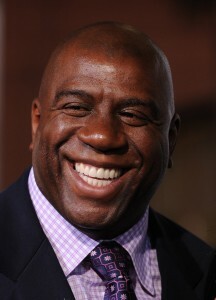 And in Denver, the Nuggets stopped the Los Angeles Lakers winning streak 126 – 114. Kobe Bryant led all scoring with 40 points on the night, but it wasn’t enough to overcome the entire Nuggets starting five in double figures. In addition to the starters, Corey Brewer played 24 minutes off the bench for Denver and added 27 points of his own on the night. The loss drops the Lakers to under .500. In the NBA, Christmas lends itself to having the biggest player play in front of fans, when no other sporting event can compete. 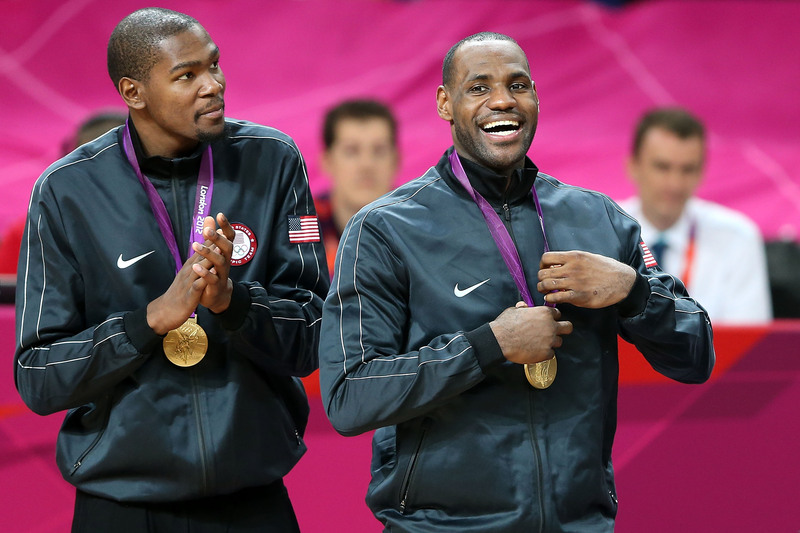 The basketball king, Lebron James, was paraded in front of the world on his home court in Miami. He dropped 29 points, eight rebounds and nine assists on Kevin Durant and the Oklahoma City Thunder. It was James’ 30th straight game of scoring at least 30 points. Durant countered with 33 points of his own and seven rebounds, but the late surge by the Thunder was not enough to over take the Heat in the 4th quarter. Miami handed Oklahoma City its first consecutive loss of the season. Miami Heat 103, Oklahoma City Thunder 97. And on the other coast, Kobe Bryant and the Los Angeles Lakers improved to .500 on the season with the win over the New York Knicks. Both Carmelo Anthony and Kobe Bryant scored 34 points for their respective teams. The win marked the fifth in a row for the Lakers for Bryant’s record 15th Christmas Day game. Bryant has scored 383 points all time on Christmas leading all other players in the history of the NBA. The Lakers avenged the 116-107 loss to the Knicks nearly two weeks ago with this 100-94 victory. After Chicago’s Joakim Noah called out Houston’s Omer Asik, before Tuesday’s game, Noah had nothing to add after the Bulls were beat. Houston scored 120 points on Chicago. Asik’s part in the win was a big one with 20 points and 18 rebounds. In fact, all five of the Rocket’s starters were in double-digit points on the night. The only bright spot on the night was Nate Robinson scoring 27 points off the bench. Houston Rockets 120, Chicago Bulls 97. In the NFL, with no Monday Night Football game, the big news was Colts Head Coach Chuck Pagano returned to the Colts. The Christmas present for the Colts came in early Monday morning to the Colts practice facility to take the reigns back over from interim coach Bruce Arians. The Colts have left the light in his office on for almost three months. Pagano has been battling leukemia all year and has finally beaten the cancer. And now he walks into a team led by rookie quarterback Andrew Luck that has clinched a playoff spot. The Colts are playing the Houston Texans this weekend in the final game of the season. 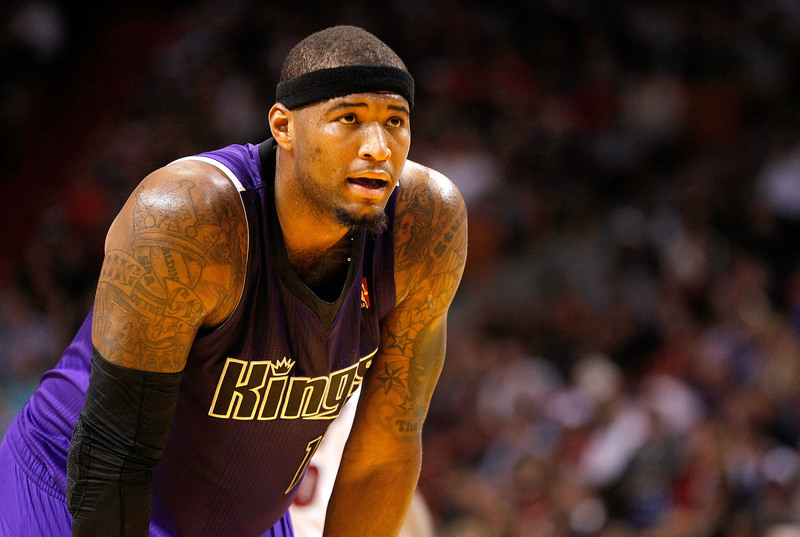 In the NBA, the Sacramento Kings reinstated their young center DeMarcus Cousins after just a one game suspension. 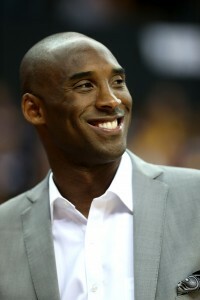 The suspension was after an argument with coaches in the locker room on Friday night against the Los Angeles Clippers. The Kings suspended Cousins indefinitely for “unprofessional behavior and conduct detrimental to the team.” Cousins only sat out one game, and the Kings missed their chance to send a real message to the young center. In the world of hockey…oh wait there is no hockey. The National Hockey League announced Thursday that more games would be cancelled this season. All games through January 14 have now been thrown away. So far, more than 50 percent of the season has been cancelled which is more than 600 games. League and player representatives have not met face-to-face since December 13. During that meeting, just over a week ago, despite mediators coming to the table, a deal was unable to be put in place. In the NBA, the Miami Heat made quick work of the Dallas Mavericks. Without the injured Dirk Nowitzki, the Mavericks started slow and never could pick up their game to make it competitive. 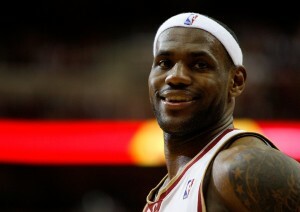 Miami’s Lebron James led all scorers with 24 points and added nine rebounds with five assists. Dwayne Wade added 19 of his own points to the Heat’s total, which left Miami with a 36 point lead late in the game, where neither superstar played in the 4th quarter. Dallas shot under 40 percent from the field and was a lousy 3 -22 from 3 point range in the 110 – 95 blowout. In the NFL, the New York Jets are still in the headlines. After being eliminated from the playoffs on Monday night, Rex Ryan has benched quarterback Mark Sanchez…but not for Tim Tebow. Former Alabama quarterback Greg McElroy has been named the starter next week for the battle against the San Diego Chargers. The move leaves people scratching their heads after the Jets spent so much effort in getting Tim Tebow, but now it seems as though it was a move that had nothing to do with football and only with publicity. In the NBA, the Los Angeles Lakers came close to losing against the abysmal Charlotte Bobcats. Kobe Bryant needed his 7th straight game of 30 or more points to top the Bobcats 101 – 100. The Lakers were down by as much as 18 late in the third quarter at home in the Staples Center. Charlotte had the chance to win on several shot attempts before the buzzer went off, but was unsuccessful and was handed their 12th straight loss. 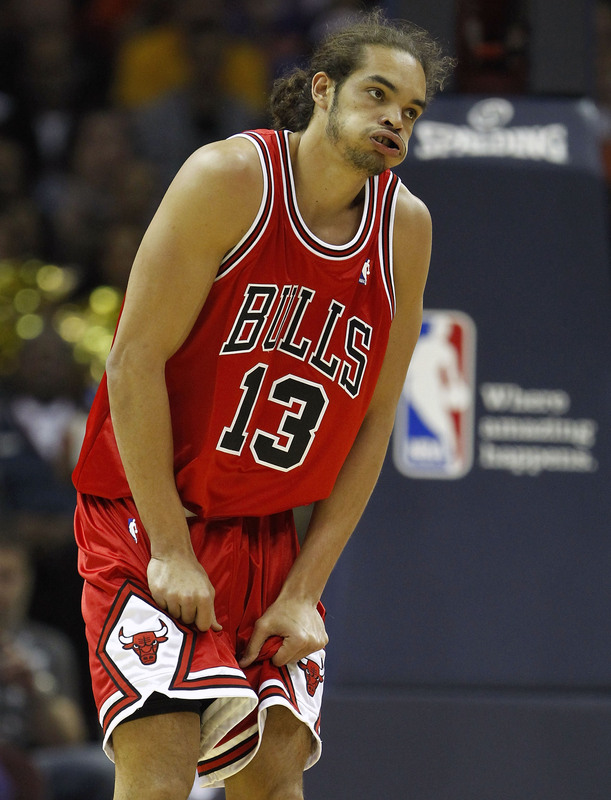 Also in basketball, Joakim Noah registered a triple-double for the Chicago Bulls in a 100 – 89 win over the Boston Celtics. Noah finished with 11 points, 13 rebounds, and 10 assists. And for the Celtics Rajon Rondo’s 26 points and eight assists wasn’t enough for Boston to win on the road. In a Monday edition of the NFL, the Jets have been eliminated from playoff contention. The Jets’ inept offense proved to NFL fans around the country how bad the Jets really are this season. Jets starting quarterback Mark Sanchez only threw 4 interceptions on the night. But even with the poor throws and questionable play calling from New York’s coaching staff, the Jets found themselves in a position to beat the Tennessee Titans on the road. With about a minute left in the game the Titans were forced to punt from deep in their own territory, but instead of sending a high booming kick to the other side of midfield, he shanked it. The punt went 19 yards and set the Jets up perfectly with a short field to drive for the winning score. On their first play of the drive, the Jets fumbled the ball on the center-quarterback exchange. The Titans picked up the ball and called it a game. Tennessee Titans 14, New York Jets 10. 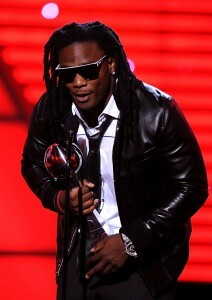 Titans running back Chris Johnson finished the game with 122 yards and a touchdown on the ground. In the NBA, New York Knicks’ fans booed Jeremy Lin in his return to Madison Square Garden. Lin had 22 points and 8 assists in his return to his old team’s stomping grounds. The Houston Rockets used his contributions along with James Harden’s 28 points and 10 rebounds to top the Knicks and sweep the season series from them. The 109 – 96 loss snapped the Knicks 10 game home winning streak. In the NFL, Sunday’s games were full of statements. The largest statement of all however, was not by a single player or even during the duration of any game, but it was the NFL holding a moment of silence before each game in memory and respect for the victims of the tragedy in Newtown, Connecticut. In addition to the moment of silence, the Patriots, Giants and Jets all are wearing a patch this week to honor the victims from the shooting at Sandy Hook Elementary School. And on the gridiron, the Atlanta Falcons shutout the New York Giants 34 – 0. Falcons quarterback Matt Ryan went 23 for 28 for 270 yards and three touchdowns. The Giants never looked like they wanted to win the game and knock Atlanta off the top of the NFC playoff picture. This was the first time that Eli Manning has been shutout during the regular season in his career, and he didn’t help the cause with two of the Giants three turnovers coming on interceptions. With the loss, the Giants lost control of their playoff destiny. Both the Washington Redskins and Dallas Cowboys won their respective games on Sunday pushing New York out of the playoffs and Washington into the division lead. Sunday night football also was a statement game for the San Francisco 49ers. After the New England Patriots obliterated the Houston Texans last week in New England, the Patriots welcomed the Niners, the only defense better than the Texans, into Foxboro. The 49ers came out hitting on all cylinders and by the middle of the third quarter went up 31 – 3. But, Tom Brady then became Tom Brady. He proceeded to tie the game by the middle of the fourth on four long touchdown drives. The 49ers answered with a touchdown of their own and the Patriots just didn’t have enough gas to get back in it. San Francisco won the game 41 – 34 and their new starting quarterback Colin Kaepernick threw four touchdowns. His team snapped New England’s 21 straight 2nd half of the season game winning streak and also became the first team to beat the Patriots at Foxboro in December for the first time in 21 games. Brady himself threw for 443 yards on 65 pass attempts and five of the completions went to wide receiver Wes Welker. Welker now has set a NFL record with his fifth season of 100 or more catches. In Major League Baseball, the National League Cy Young Award winner looks like he’s on the way out of New York. Mets starting pitcher R.A. Dickey has been the source of many rumors since the MLB Winter Meetings in Nashville a few weeks back. The Mets have dangled the reasonably priced 20 game winner in trade talks and finally seem to have found a suitor in the Toronto Blue Jays. The 38-year-old pitcher looks to be sent across the border with catcher Josh Thole for a package including hot catching prospect Travis D’Arnaud. Dickey had a 2.73 ERA last year with 230 strikeouts. The deal will only go through if Dickey can agree to a 2-year extension by Tuesday. The Blue Jays see an opening in the American League East with the Yankees and Red Sox trying to regroup. The limited window of opportunity has made the Blue Jays big players in this year’s offseason. They have already acquired many players including shortstop Jose Reyes, pitcher Josh Johnson and outfielder Melky Cabrera. The #1 prize of the off-season was Texas Rangers slugger Josh Hamilton. The Rangers gave him a second chance after he had serious alcohol issues, and Hamilton rewarded them with major dividends — becoming one of the best hitters in the league. But, this off-season, he was a free agent, and many teams were salivating to get him. Well, it looks like Hamilton isn’t headed back to the Rangers, but rather to their division rival: The Los Angeles Angels. With the acquisition, the Angels are seriously building a juggernaut. 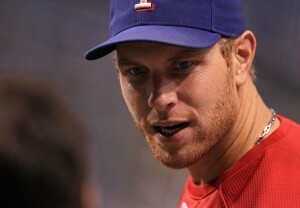 With Hamilton batting either before or after Albert Pujols, that team is going to be very difficult to stop. You can’t walk them both. Elsewhere, in the NBA, with the Lakers seemingly on a losing skid that could end in a serious wreck, their star Kobe Bryant was looking for answers. The Lakers are currently 9-13, and wouldn’t even make the playoffs if it started today. Things with new coach Mike D’Antoni aren’t working out, and they have to make adjustments quickly. So, in search of some possible solutions, Kobe decided to call Magic Johnson directly. Johnson was very vocal about the Lakers troubles at a Dodgers press conference the other day, and clearly Kobe has taken that to heart. Kobe wouldn’t reveal the specifics of their conversation, but said it was mainly about transition. Magic shared some things about how he adjusted to playing after Kareem Abdul-Jabaar retired, and told Kobe how to cope when things aren’t going well. And in the NFL, it looks like commissioner Rodger Goodell mixing things up again. He’s already changed the game in reducing the amount of kickoff returns by moving the kickoff up to the 35 yard-line, and he’s also responsible for making some teams play on Thursday every week of the year. Many criticize that it’s not a lot of rest for players, and those games haven’t always been the best. Now he looks to be making another move that’s very controversial. Goodell said the league is thinking of expanding the playoffs to 14 or even 16 teams (from 12). If he did this, it would render the regular season more meaningless, as teams could fight for the bare minimum to get in, and then turn on the jets. Plus, teams that earn byes would likely have to sit for too many weeks, and that could make them cold and stiff, losing all their momentum from the regular season. People like change, but not necessarily too much change in the NFL, and it looks like that may be where things are going.